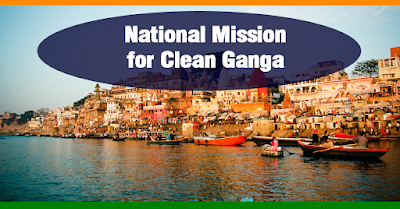 Home Namami Gange NMCG Power Water Resources A range of innovative technology and financial innovations will drive the Ganga cleaning program as was deliberated during the three-day India Water Impact Summit, that concluded on Friday in New Delhi. A range of innovative technology and financial innovations will drive the Ganga cleaning program as was deliberated during the three-day India Water Impact Summit, that concluded on Friday in New Delhi. A range of innovative technology and financial innovations will drive the Ganga cleaning program as was deliberated during the three-day India Water Impact Summit, that concluded on Friday in New Delhi. It was organised by NMCG (National Mission for Clean Ganga) in collaboration with cGanga and saw participations from experts in various fields from 16 countries. Afforestation, biodiversity, urban river management, data harmonisation, development of water bodies, water valuation and market development, financing in water sector and innovation in sewage and sewerage management were the key topics discussed over three days during the summit. The three-day summit was inaugurated by Shri Nitin Gadkari, Minister of Water Resources, River Development and Ganga Rejuvenation, Road Transport & Highways and Shipping, in the presence of Shri Hardeep Puri, Union Urban Development Minister and Dr. Satyapal Singh, Minister of State for Water Resources, River Development and Ganga Rejuvenation. Hon. Ms Cecilia Dapaah, Minister of Water Resources, Ghana, Shri U.P. Singh, Secretary, MoWR, RD & GR, Shri Rajiv Ranjan Mishra, DG, NMCG, Steven Schonberger, Director of World Bank , Maya Kadosh, Deputy Chief of Mission, Israel, Jasper Wieck, Deputy Chief of Mission, Germany, Jozef Drofenik , Ambassador of Slovenia and Dr Vinod Tare, Head cGanga, were among other dignitaries present on the occasion. During the inaugural session of the summit Shri Nitin Gadkari announced the successful tapping of the Sisamau Nala of Kanpur, which discharged 140 million litres per day (MLD) of polluted water into the Ganga. The Minister expressed his satisfaction with the work of the National Mission for Clean Ganga (NMCG) on the occasion. Mr Dapaah, Minister of Water Resources, Ghana also committed to take across Africa global innovations that India successfully implements in the Namami Gange programme. During the valedictory session, Shri UP Singh, Secretary, MoWR, RD & GR expressed his satisfaction on the content of the dialogue. He emphasized on the creation of the working groups as one of the major takeaways from the summit. This will help in converting technology to working models. Shri Rajiv Ranjan Mishra, DG, NMCG said, ‘The state wise session was a unique deliberation in this version of IWIS. The ministers from the states and senior bureaucrats discussed the various challenges that they face at the ground level implementation of the program. The suggestions from the experts were: engaging state/urban local bodies in policy planning, incorporating local/traditional knowledge in implementation, encouraging zero liquid discharge, decentralization and community driven treatment of sewege& effluents. A working group would also take up development of a model Urban River Management Plan which would be looking comprehensively at the interrelation of river and city and connecting people with the city. Denmark offered their support in this matter. The technology and innovation deliberations attracted 16 leading companies from 8 nations in a very exciting and a participative workshop. Domains and areas ranged from artificial intelligence, Internet of things, machine learning to latest advancements in waste water recycling, reuse and material recovery, waste-to-energy, satellite imagery with very high resolution, sustainable agricultural practices using soil-less membrane farming, run of the river hydro power units and overall areas of technologies supporting circular economy were presented. The technologies are novel and noble with lower land and energy foot-print, robust but simple electro mechanical systems, optimal operations and maintenance costs with low carbon footprint. NMCG has streamlined the introduction and acceleration of technology deployment through an Environment Technology Verification (ETV) process that allows companies to showcase the success and efficacy of their solutions through a pilot demonstration project. The Government is inviting technology solution providers to apply for the ETV programme in the areas of decentralised waste water and industrial effluent treatment, data and information and ancillary services such as solid waste management, sustainable agriculture and hydro power. The Summit introduced the Ganga Finance Forum, which brought together a number of national and international financial sector experts highlighted the gaps but equally provided a plethora of innovative financial instruments to support the Ganga Rejuvenation programme. These include issuing of masala bonds in international markets to tap into long-term debt financing through capital markets, using specialist guarantee and credit enhancement instruments, specialist foreign exchange hedging products for those using external commercial borrowing structures. 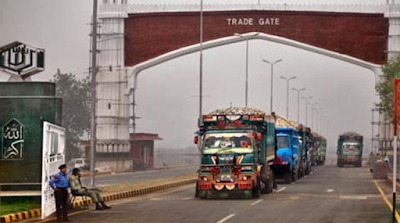 The group unilaterally agreed to create blended finance products such as social impact bonds. An interesting solution to use block chain and tokens to raise capital has also been suggested by select companies specialising in the fintech sector. Data and Information asymmetry has been long identified as the crucial missing link. The Summit enabled NMCG to take a leap forward in initiating a number of initiatives in data harmonisation that will develop platforms and approaches to increase intero perability of data being generated by a network of agencies working in the water sector. NMCG invited big data and analytics companies and entrepreneurs to partner with it to develop next generation data solutions that will help policy makers and investors in equal measure with irrefutable and accurate data. The Summit yet again highlighted the need to value water. It prompted subject matter experts to think of the development of local area water markets so that true economic value of water can be established that will lead to better pricing strategies. The Centre for Ganga River Basin Management and Studies is a think-tank and Centre of Excellence to the National Mission for Clean Ganga. In 2015 a consortium of seven Indian Institutes of Technology (Kanpur, Delhi, Madras, Bombay, Kharagpur, Guwahati and Roorkee) created the Ganga River Basin Management Plan. The objective of the plan was to take comprehensive measures for the restoration of the wholesomeness of the Ganga ecosystem and improvement of its ecological health, with due regard to the issue of competing water uses in the river basin.